Possibly the most well known APIs (Application Programming Interface) are the Google APIs. 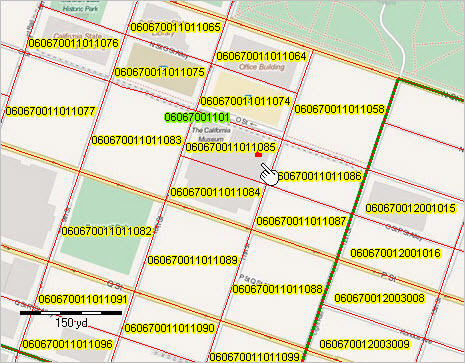 Among these, the Google Maps API, or its use, might be the most familiar. 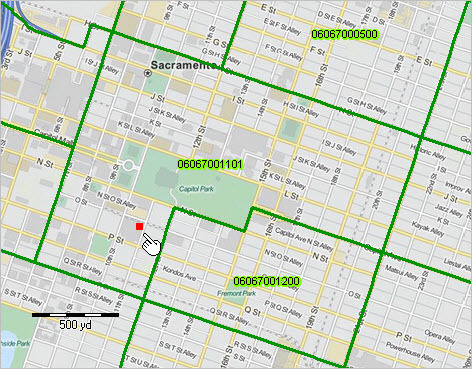 See about integrating political/statistical geography and Google Maps API. This section reviews different types of APIs. API technology/tools play an important role in accessing and integrating geographic, demographic and economic data. APIs offer two types of benefits. For Web-based applications, APIs provide the ability for on-the-fly access to selected demographic-economic buried in otherwise large datasets that typically otherwise involve downloading and preprocessing. A second important benefit/use is to extract data from those same datasets, reconfigure the structure of the data retrieved by API and create a new dataset structure that lends itself to analytical applications. There are hundreds more APIs available from Federal agencies and wide-ranging sources. The following graphic has been developed first using API tools to create the underlying datasets. 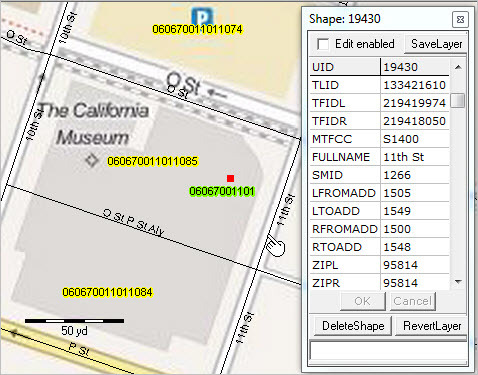 While the source data used in this application could have been downloaded and processed in legacy manner, the API tools provide on-the-fly development of the data in a structure required by the GIS software. 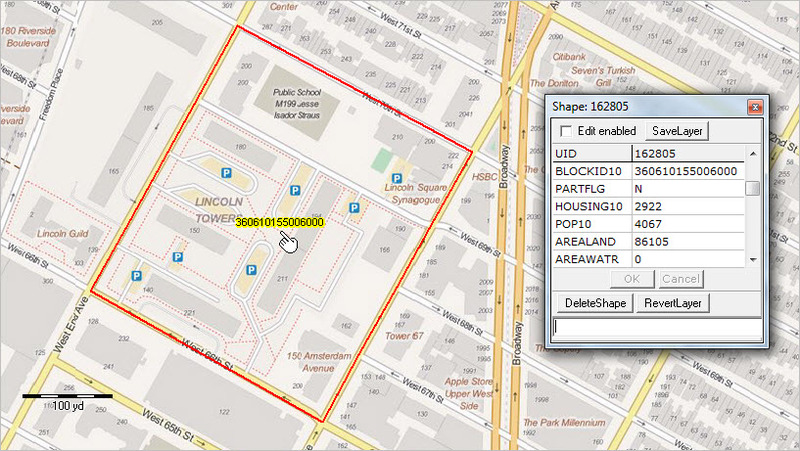 These data are then integrated into shapefiles for use with the GIS software. 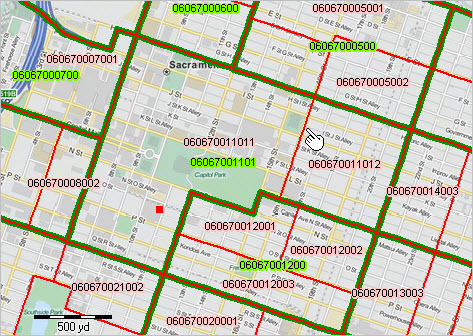 Once the datasets are developed, they can be used in a myriad of application, GIS and otherwise. • Click graphic for larger view with ZIP Code labels and more detail. • The graphic shows patterns of the Male Hispanic population 5 years of age as of Census 2010. • The view illustrates how single year of age by gender by race/origin can be visually analyzed. See the corresponding Web section on Data Analytics & Using APIs. Many See application examples are shown there. .. how will the population distribution by age in one county compare to another county, metro or region between 2010 and 2020? This section reviews how you can perform such analyses using the no fee Outlook2020 Trend Analysis Windows-based tools. The Outlook2020 software accesses Web-based Outlook 2020 U.S. by county annual demographic estimates and projections, 2010 through 2020. The Outlook 2020 estimates and projections are part of the Situation & Outlook database and information system. 1. display estimates and projections in a grid. 2. show annual age-cohort population data as a percent of total population. 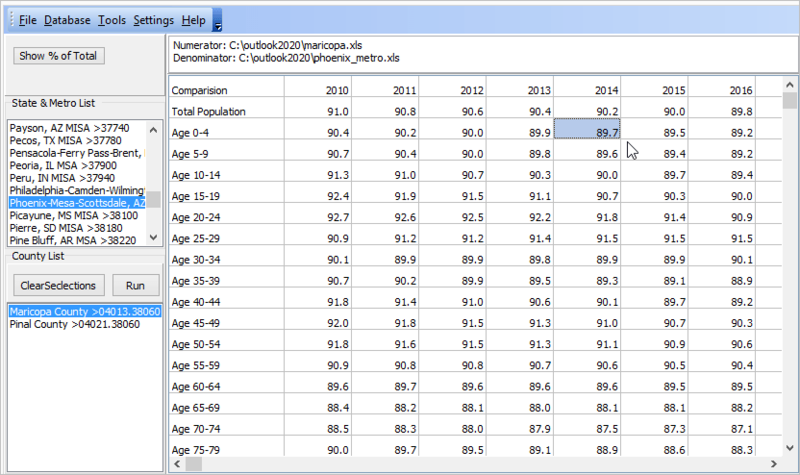 3. save the grid display of population or percent data as an Excel file. 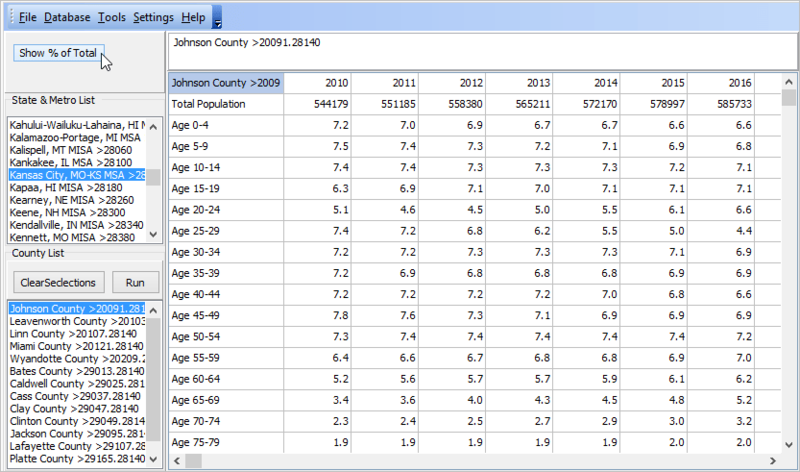 4. select two or more counties and aggregate the data for the composite area. 5. create percentage views and save to Excel just like for a single county. — features 4 and 5 enable aggregation of data to a metro or region. 6. use a metro listbox to automatically select all metro counties. 7. compare any one area with another area, optionally multi-county. 8. all U.S. counties and all metros are supported. Start Outlook2020 using the desktop icon. The start-up view appears as shown below. The start-up view illustrates one of the basic features of the application. Johnson County, KS is selected in the lower left listbox. 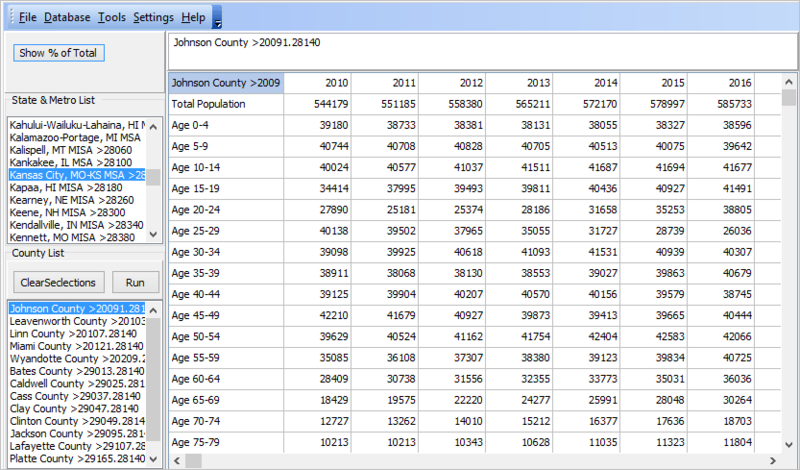 When this selection is run (dbl-click the county name), the total population by age profile is displayed in the grid. The leftmost column shows age group. The remaining columns show annual population estimates and projections to 2020. The year is shown in the top cell of the column. Click the “Show % of Total” button to view cells as a percent of total population. In this view, the Phoenix, AZ metro is dbl-clicked in metro listbox. The two component counties are displayed in the lower/county listbox. Multi-selecting both counties, the Run button is clicked. The grid refreshes with the sum of both counties, or the metro total. Perform a similar application for any metro. In this view, the File>SaveGridAs feature is used to save the current grid cells to an Excel file. The file was saved as c:\outlook2020\phoenix_metro.xls; it will be used in a comparative analysis reviewed below. In this view, the File>SaveGridAs feature is used to save the current grid cells to an Excel file. 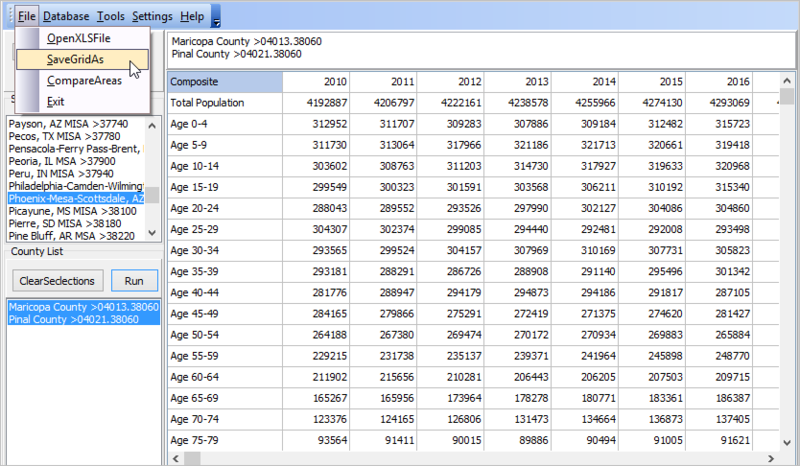 Maricopa County is dbl-clicked; the grid populates with population values for this one county. The file was saved as c:\outlook2020\maricopa.xls; it will be used in a comparative analysis reviewed below. What part of the Phoenix metro is comprised by Maricopa County? The File>Comparative Analysis feature is used to compare Maricopa County (the numerator by cell) to the Phoenix metro (the denominator by cell). 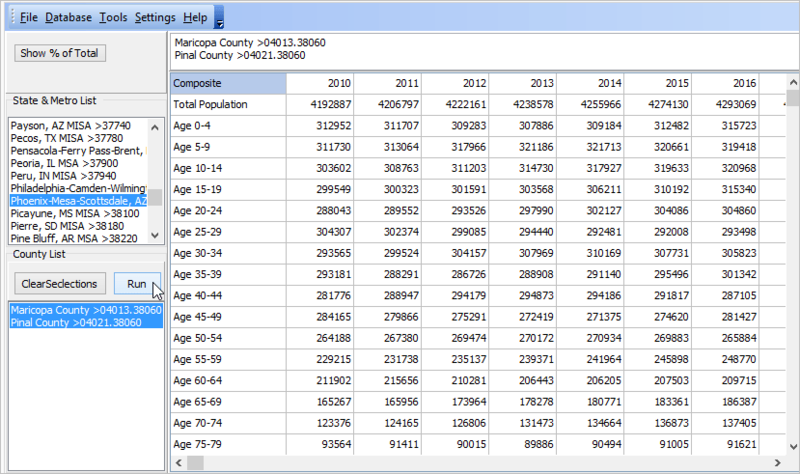 The following view shows that Maricopa County comprises 89.7 percent of the Phoenix metro population ages 0-4 years. The percent of this age group accounted for this county as a percent of total metro is slowly declining since 2010. 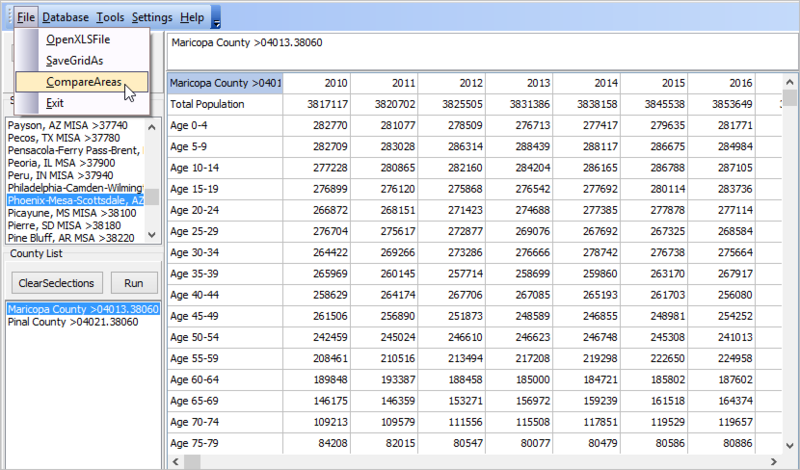 Smaller Pinal County has a relatively increasing rate for this age group. • what part of the Kansas City metro is comprised by the Missouri counties? • in total population? as a percent of metro? • how is this projected to trend 2010 through 2020? • what do these analyses suggest about trends by age cohort by county for metro? Learn more about using resources described in this section. Join us in a Decision-Making Information Web session. There is no fee for these one-hour Web sessions. Each informal session is focused on a specific topic. The open structure also provides for Q&A and discussion of application issues of interest to participants. 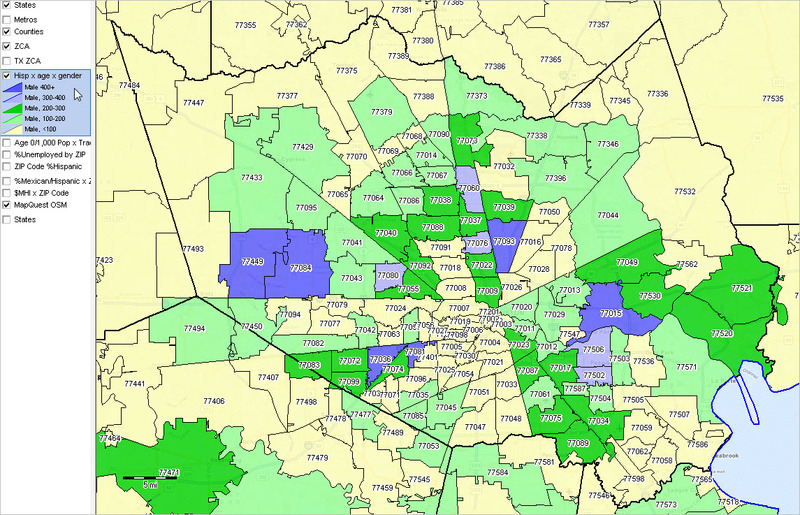 We can address specific questions about using metro and county demographic economic data and related applications. See more about topics covered here in the corresponding Outlook2020 Web section.